The Libyan National Army (LNA) claims to have captured Hisham al-Ashmawy, a former Egyptian officer who defected to the jihadists’ cause. Ashmawy has long been hunted by Egyptian and Libyan forces, as he has been accused of leading jihadist operations in both countries. 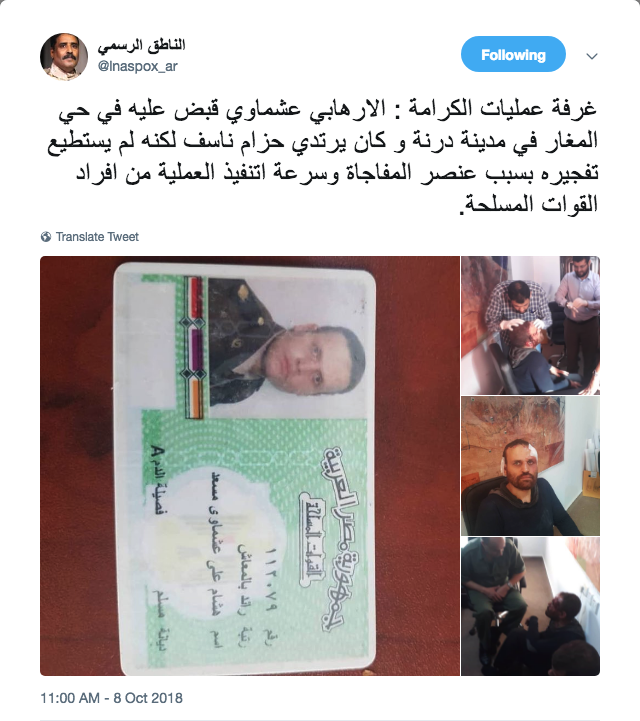 The LNA released photos of a bloodied Ashmawy (one of which can be seen on the right), as well as an image purportedly depicting his Egyptian military identification card (seen below). FDD’s Long War Journal cannot independently verify that Ashmawy has been captured, but the pictures do appear to match known images of the man, including photos that have been included in jihadist propaganda. The LNA, which fights under General Khalifa Haftar, says that Ashmawy was captured in the eastern Libyan city of Derna, a known hotbed of jihadism. 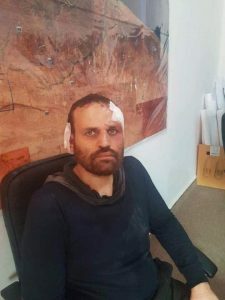 According to Reuters, the LNA claims Ashmawy was captured alongside the “wife and children of a second senior alleged militant, Mohamed Rifae Soroor” (also known as Omar Rifae Soroor), who was killed earlier this year. The Egyptians say that Ashmawy leads an organization known as Ansar al-Islam, but he was identified as the head of Al Murabitoon in July 2015. Since that time, Ashmawy’s status has been murky. Earier this year, the LNA launched an offensive in Derna and has reportedly killed or captured various jihadi figures since then. Ashmawy has been targeted by both the LNA and the Islamic State. Various pieces of evidence indicate that Ashmawy remained loyal to al Qaeda’s network, even though his precise role is not clear. 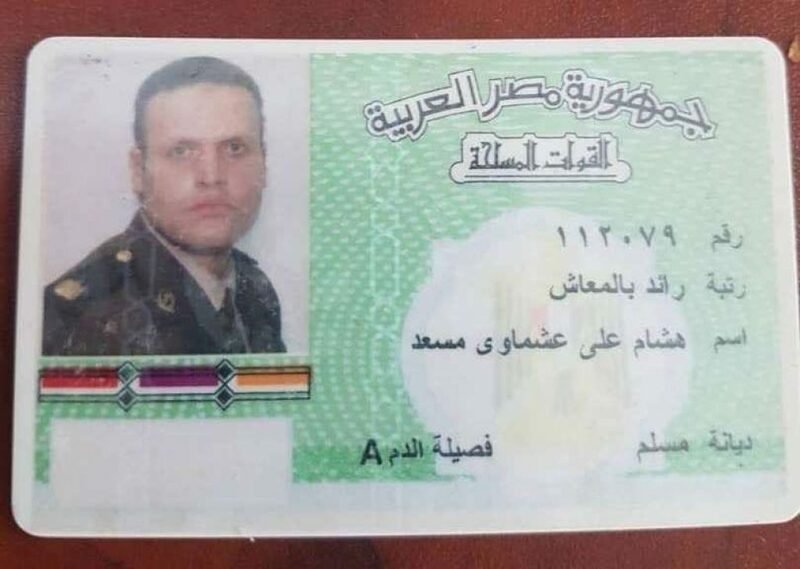 Hisham al-Ashmawy’s Egyptian military ID, according to the LNA. The Egyptian government has named Ashmawy one of its “most wanted” terrorists, blaming him for a raid on police last year, as well as a string of other high-profile attacks. However, there is some uncertainty about the exact extent of his role. 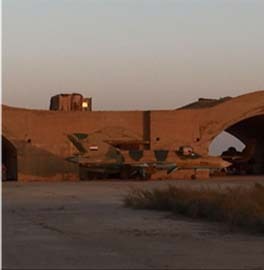 Some of the operations Ashmawy has been implicated in were carried out by Ansar Bayt al-Maqdis (ABM). 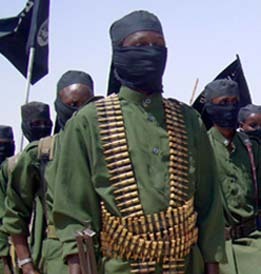 Prior to a series of leadership losses, ABM was linked to al Qaeda’s global network. In Nov. 2014, ABM’s leadership swore allegiance to Abu Bakr al Baghdadi, the emir of the Islamic State, and the group was quickly rebranded as Wilayah Sinai (or the Sinai “province”). Part of ABM refused to join the so-called caliphate’s cause. Ashmawy is a leading member of this smaller, pro-al Qaeda ABM faction. The Egyptian government has alleged that Ashmawy helped plot the attempted assassination of Mohammad Ibrahim, who was then Egypt’s interior minister, in 2013. The failed attack against Ibrahim reveals a number of intriguing connections between Ashmawy and al Qaeda’s global network. 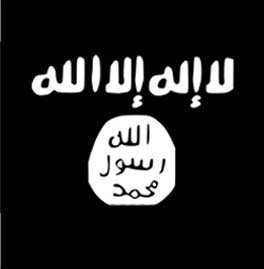 ABM claimed responsibility for the Sept. 5, 2013 suicide bombing in a statement posted online. ABM followed up with a video honoring the would-be assassin, Walid Badr. The video honoring Badr made it clear that ABM considered itself part of al Qaeda’s network at the time. 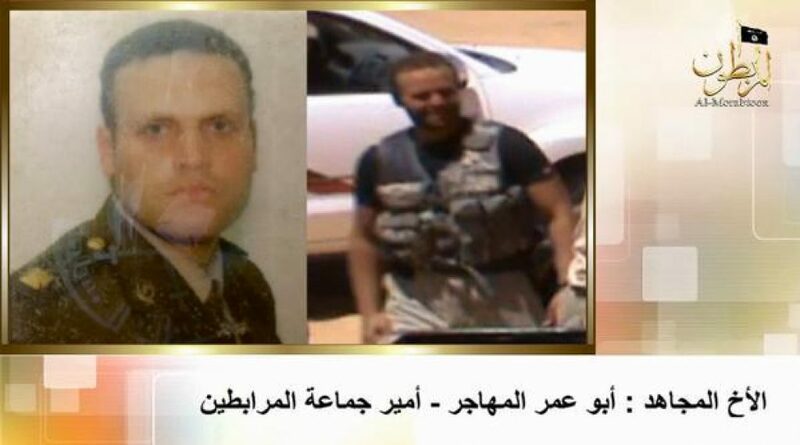 Like Ashmawy, Badr had been an Egyptian military officer before joining the jihadists’ cause. 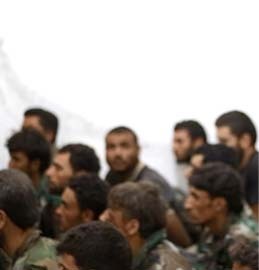 According to ABM’s biography, Badr fought in Syria before returning to Egypt to carry out his “martyrdom” operation. Egyptian authorities also connected Badr to a cadre of jihadists who were trained and fought for Al Nusrah Front, al Qaeda’s official branch in Syria until July 2016, as well as other groups. Ashmawy himself may have traveled to Syria. In June 2015, Hisham Barakat, Egypt’s chief prosecutor, was killed by a car bomb in Cairo. Middle East Eye reported that Egyptian authorities had fingered Ashmawy as the chief planner of the operation. Barakat was the most senior government official to be killed since the jihadist insurgency was launched inside Egypt in 2013, according to The New York Times. In July 2015, a new group calling itself Al Murabitoon released a video, naming Ashmawy as its emir. 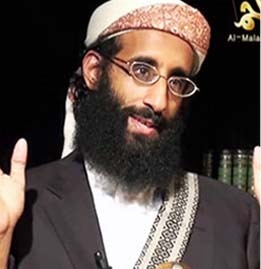 The production opened with a clip of Ayman al Zawahiri, thereby emphasizing the organization’s affinity for al Qaeda. Ashmawy then offered a longer speech, connecting Al Murabitoon’s cause to the jihadists’ global efforts and denouncing Egyptian President Abdel Fattah el Sisi. Ashmawi was identified as the leader of Al Murabitoon in a July 2015 message. It was not clear at the time what relation Ashmawy’s group had to the other “Al Murabitoon,” which was led by Mokhtar Belmokhtar, a veteran al Qaeda loyalist. Al Murabitoon was the name given to a joint venture formed by Mokhtar Belmokhtar’s Al Mulathameen Brigade and the Movement for Unity and Jihad in West Africa (MUJAO) after the two organizations merged in Aug. 2013. Belmokhtar’s fate is unclear, as he has been reported dead several times. In Mar. 2017, Belmokhtar’s Al Murabitoon merged with others to form the “Group for the Support of Islam and Muslims” (Jama’at Nusrat al-Islam wal-Muslimin, or JNIM), which is openly loyal to al Qaeda. Ashmawy denounced Egyptian President Abdel Fattah El Sisi in a Mar. 2016 message. In Mar. 2016, Ashmawy released another message, claiming Egyptian Muslims are experiencing a “tragedy” under Sisi’s rule. The message was accompanied by a still photo of Ashmawy dressed in military garb with his face obscured. Ashmawy said the “ulema” (Islamic scholars) should “incite the youth and remind them it is now our duty to expel the invaders from the abode of Islam and wage jihad against the criminal Sisi, his soldiers, and supporters.” He argued that the mujahideen cannot be victorious unless the “ulema” and sheikhs support them. The jihadists’ “battles…to settle the conflict between truth and falsehood will not continue, nor be successful,” without the scholars’ help in mobilizing the people, Ashmawy argued. Ashmawy’s 23-minute audio statement, which was disseminated via pro-al Qaeda social media channels in early Mar. 2016, was likely intended to influence Egyptian clerics and rally some of them to al Qaeda’s cause in the Sinai and elsewhere. To date, this effort has produced little. The Mar. 2016 message also tried to tie Ashmawy’s jihad to the conflict with Israel. Images from Jerusalem were shown at the end of production and the words, “O Aqsa, we are coming,” were flashed on the screen. This is a reference to the Al Aqsa mosque in Jerusalem and the same phrase is often used at the end of al Qaeda productions, including propaganda produced by Al Qaeda in the Arabian Peninsula. Al Qaeda and its regional branch, Al Qaeda in the Islamic Maghreb (AQIM), have attempted to hide the extent of their operations in Libya since the uprisings against Muammar Gaddafi’s regime began in 2011. 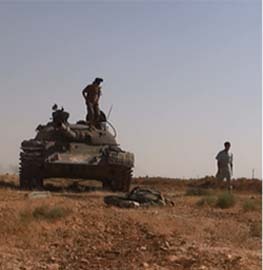 However, several al Qaeda-linked groups in Benghazi, Derna and elsewhere have suffered significant losses. The Islamic State’s men were pushed out of Derna in 2016 by their rival jihadists, including those in groups such as the Derna Mujahideen Shura Council (MSC). But the LNA has now delivered heavy blows to the MSC and others and the capture of jihadists such as Ashmawy likely hurts al Qaeda’s cause even further. Note: This piece draws from previous reports by FDD’s Long War Journal on Ashmawy and related matters. Therefore, some of the language matches earlier reports.